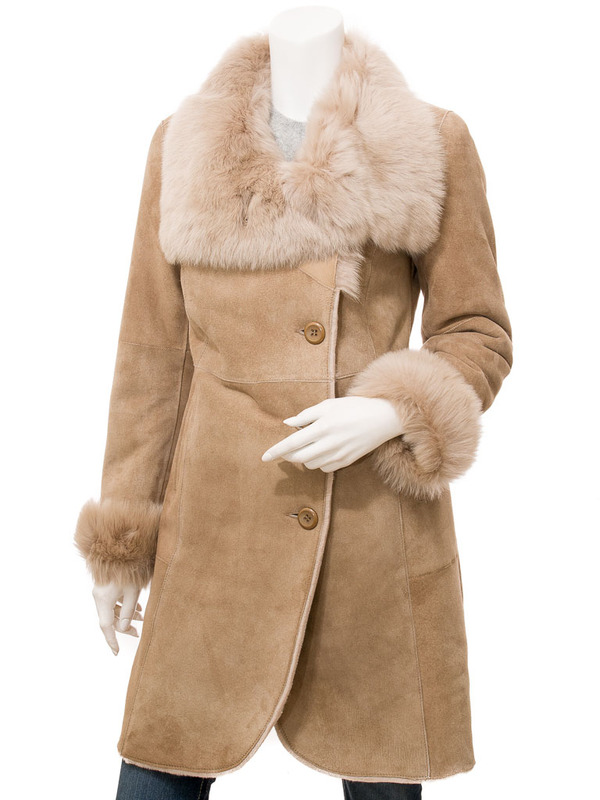 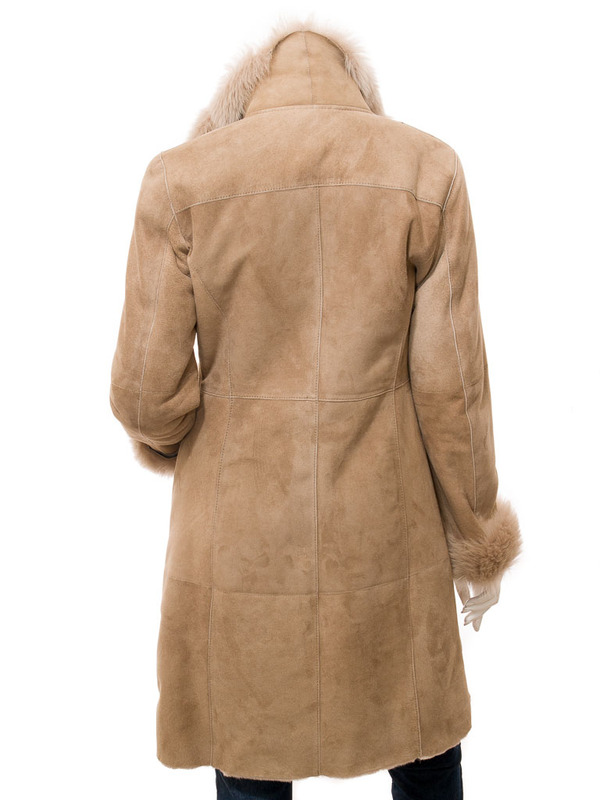 A beautiful, longer length, Toscana shearling coat in taupe. Double breasted with a button front and high roll collar this coat oozes cool sophistication. 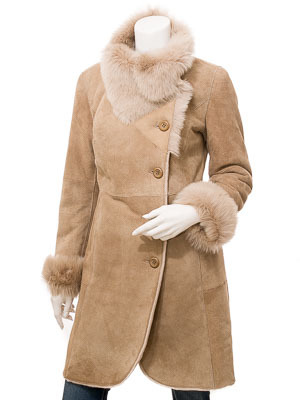 Think strolling down a Paris Boulevard on a chilly Autumn day. 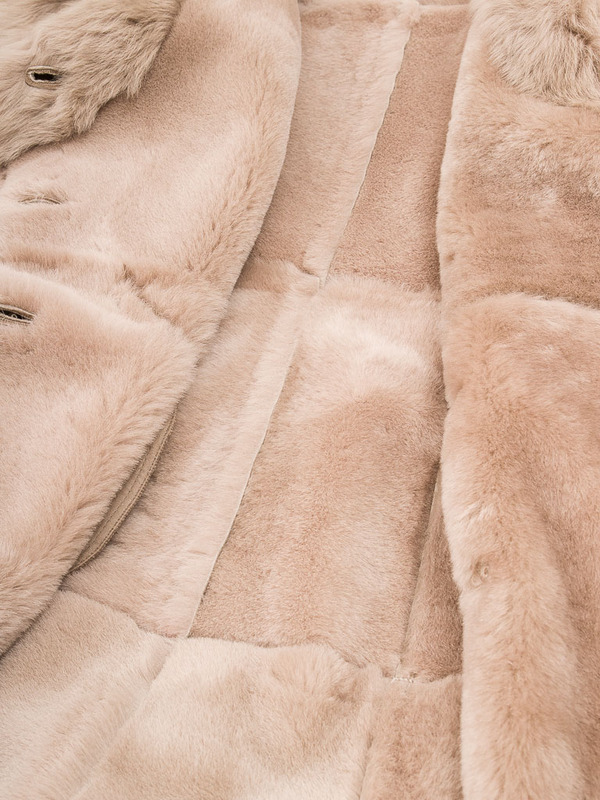 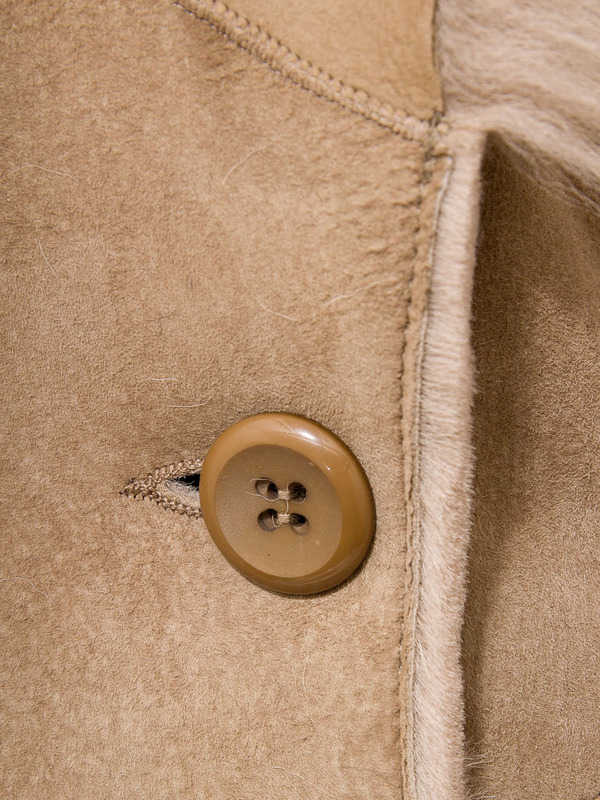 Like all genuine shearling coats the interior is fully lined with the fleece side of the skin while the underside forms the soft suede-like exterior. 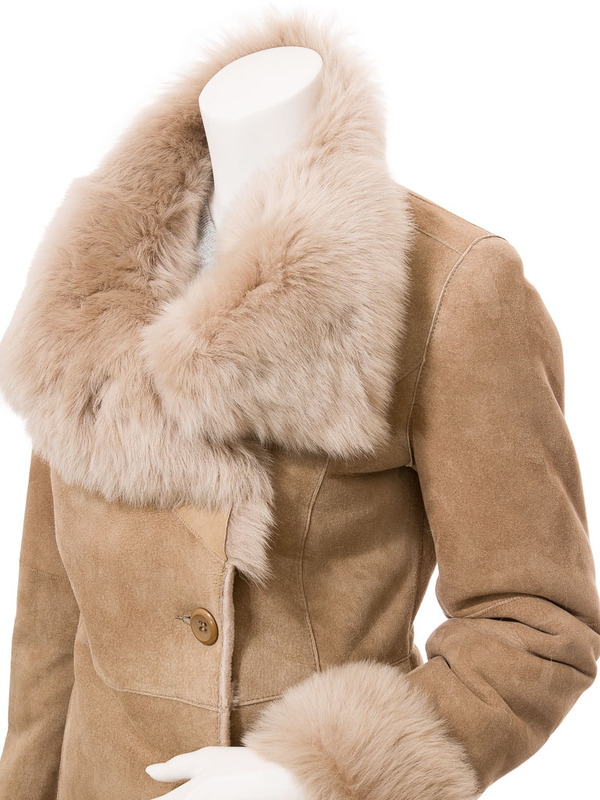 There are two pockets at the hip and the longer fleece at the collar and cuffs is brilliant at keeping the cold at bay while the shorter fleece throughout the body and sleeves is the ultimate in luxury.